President Barack Obama has long been under fire from the U.S. national security elite and the media for failing to intervene aggressively against the Assad regime. But the real strategic blunder was not that Barack Obama didn’t launch yet another war in Syria, but that he decided to go along with the ambitions of America’s Sunni allies to create and arm a Syrian opposition army to overthrow the regime in the first place. Now a former Obama administration official who is knowledgeable on the internal discussions on Syria policy, speaking to this writer on condition of anonymity, has shed new light on how and why that fateful decision was made. The former official revealed that when Obama made the first move toward supporting the arming of Syrian opposition forces, the President failed to foresee the risk of a direct Iranian or Russian intervention on behalf of the Syrian regime in response to an externally armed opposition – because his advisers had failed to take this likelihood into account themselves. The story of this policy failure begins after military resistance to the Assad regime began in spring and summer 2011. In August 2011, national security officials began urging Obama to call on Assad to step down, according to the former official. Obama did make a statement suggesting that Assad should step aside, but he made it clear privately that he had no intention of doing anything about it. “He viewed it as simply a suggestion, not a hard policy,” the ex-official said. But soon after that, a bigger issue arose for the administration’s policy: how to respond to pressure from Turkey, Saudi Arabia and Qatar for a U.S. commitment to help overthrow Assad. In September 2011, the Saudis and Turks not only wanted the U.S. to provide arms to the opposition. “They wanted the US to provide anti-aircraft missiles and anti-tank missiles,” recalled the ex-official. Turkey even offered to send troops into Syria to overthrow Assad, but only if the U.S. and NATO agreed to create a “no-fly zone” to protect them. But Obama refused to provide U.S. arms to the Syrian rebels and also opposed the Sunni foes of Assad providing such heavy weapons. “He wasn’t willing to go along with anything except small arms,” said the former official. Apparently to assuage the dissatisfaction of the Sunni allies, then-CIA Director David Petraeus devised a plan, which Obama approved, to help move the small arms from Libyan government stocks in Benghazi to Turkey. Confirming the 2014 story by Seymour Hersh, the ex- official, recalled, “It was highly secret but officials involved in the Middle East learned of the program by word of mouth.” The combination of those two policy decisions committed Obama – albeit half-heartedly – to the armed overthrow of the Assad regime. The former administration official confirmed the recollections of both former Secretary of State Hillary Clinton and former Pentagon official Derek Chollet that Obama’s advisers believed Assad’s fall was inevitable. Some of those advisers believed Assad lacked the “cunning and fortitude” to remain in power, as Chollet put it. More importantly, when Obama was making crucial Syria policy decisions in September 2011, no one on his national security team warned him that Iran had a very major national security interest in keeping the Assad regime in power that could draw the Iranians into the war, according to the former official. 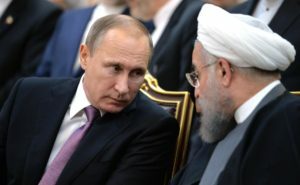 Obama’s advisers assumed instead that neither Iran nor Russia would do more than offer token assistance to keep Assad in power, so there was no risk of an endless, bloody sectarian war. In fact, however, Iran regarded Syria as crucial to its ability to resupply Hezbollah, whose large arsenal of missiles was in turn a necessary element in Iran’s deterrent to an Israeli attack. “Syria had been Iran’s and Hezbollah’s security in depth,” the ex-official said, but Obama’s advisers “didn’t have a clue” about Iran’s overriding national security interest in preventing Assad’s overthrow by the overwhelmingly Sunni opposition backed by a Sunni international coalition with U.S. support. That major error of omission become obvious as the war unfolded. After the city of Qusayr near the Lebanese border was taken over by the Free Syrian Army in July 2012, opposition forces in southern Syria were able to get military supplies from across the border in Lebanon. It became clear in the months that followed that al-Nusra Front forces (Al Qaeda’s Syrian affiliate) were heavily involved in that front of the war. In May 2013, Hezbollah troops from the Bekaa Valley intervened in support of a regime counteroffensive to retake the city – obviously at Iranian urging. That Iranian-Hezbollah intervention resulted in the biggest defeat of rebel forces of the war up to that time. But instead of questioning the soundness of the original decision to cooperate with the Sunni coalition’s “regime change” strategy, Obama’s national security team doubled down on its bet. Secretary of State John Kerry put strong pressure on Obama to use military force against the Assad regime. That resulted in a public commitment by the Obama administration in June 2013 to provide military support to the opposition for the first time. The deepening commitment nearly led to a new U.S. war against the Assad regime in September, after the chemical attack on the Damascus suburbs in August 2013. 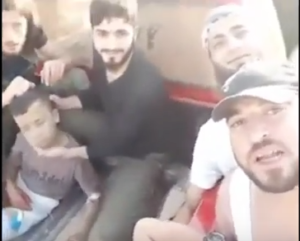 The Obama administration even agreed to the Sunni states’ provision of anti-tank weapons to an armed opposition now openly dominated by al-Qaeda’s Nusra Front. That culminated in a Nusra Front-led command’s conquest of Idlib province and the subsequent Russian intervention, which the administration’s national security team obviously had not anticipated either. Obama and his advisers blundered on Syria in thinking that they were not getting into a high-risk war situation. But there is a deeper level of explanation for the willingness of Obama and his advisers to go along with the inherent risk of another “regime change” policy – even if Obama was half-hearted about it at best and limited direct U.S. involvement in it. The administration was unwilling to be at cross-purposes with its Sunni allies, the former official recalled, because of the direct U.S. military interests at stake in its alliances with those three states: the Saudis effectively controlled U.S. access to the naval base in Bahrain, Turkey controlled the airbase at Incirlik, and Qatar controlled land and air bases that had become central to U.S. military operations in the region. What was a disastrous blunder in terms of the consequences for the Syrian people, therefore, was the only choice acceptable to the powerful national security institutions that constitute what has become the U.S. permanent war state. Their first concern was to ensure that existing military and intelligence arrangements and relationships were not jeopardized. And Obama was not prepared to override that concern, despite his well-known skepticism about any arming of anti-Assad rebels in light of the blowback from America’s support for the Afghan Mujahedeen in the 1980s.